Far away from the madding crowds is one of the Garden Route’s best kept secrets. Long kept under wraps, this gentle and serene protected coastal reserve is guaranteed to nurture your soul. 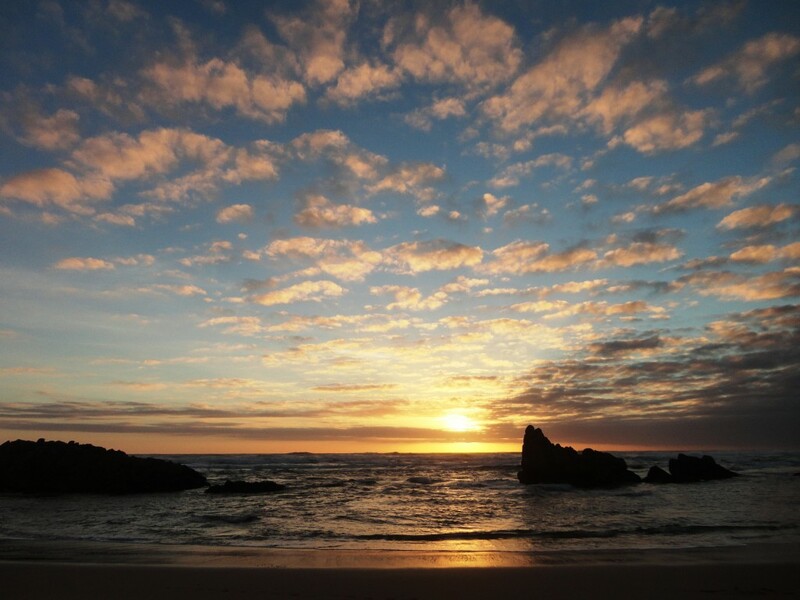 The Reserve covers an area of about 2500ha, while the Marine Protected Area extends along approximately 18km of coastline from Buffalo Bay towards Sedgefield, and one nautical mile (1,85 km) out to sea. 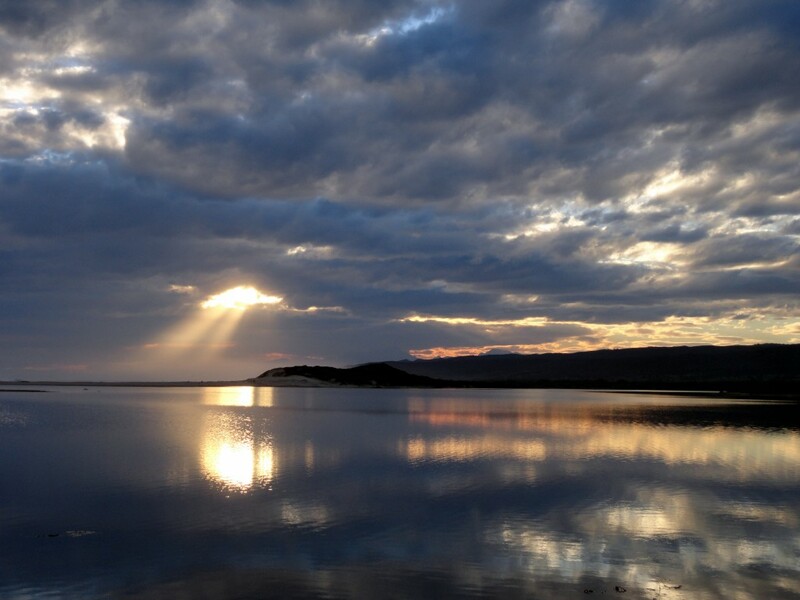 Goukamma highlights include an extensive dune field with some of the highest vegetated dunes in South Africa and the unique Groenvlei lake (Lake Pleasant to locals!) which has no inflowing rivers and only an underground link to the sea. 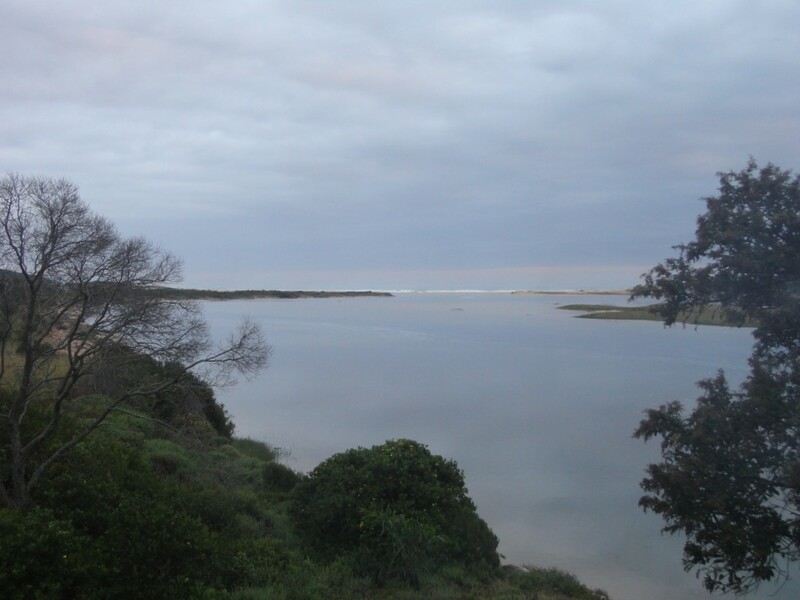 Goukamma river, looking towards the mouth. Coastal fynbos and coastal forest are the two main types of vegetation found in the reserve. The coastal dune forest, occurring mostly on the dunes, consists of dense thickets of milkwoods, yellowwoods and candlewoods. Further inland, the fynbos is characterised by erica and restio species which flower in September and October. Goukamma lies between South Africa’s winter and summer rainfall areas and so has no clear wet or dry season. It does experience higher rainfall in spring and autumn, and lower rainfall in summer. The weather is unpredictable, with some warm days in June and July, and the odd cold day in summer. Prevailing summer winds are south-easterly and winter winds are westerly. The reserve has some of the best hiking trails in the Southern Cape. Hikers have a choice of six day trails and, although booking is not necessary, a hiking permit must be obtained on arrival from Cape Nature. 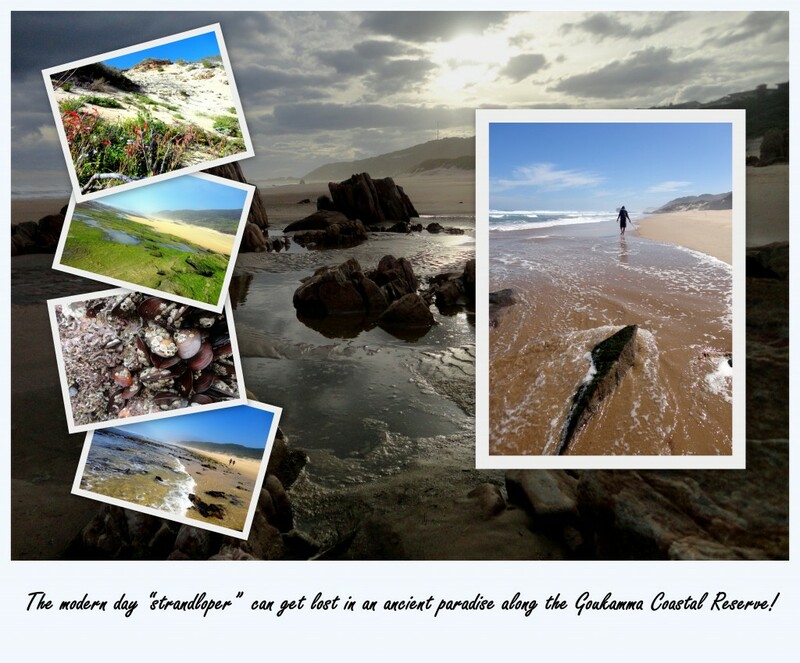 The Galjoen Trail ~ this is a 12km beach walk that takes about four hours. Hikers can arrange return transport from Platbank, or walk back. The walk is inaccessible during spring high tide. The Bush Pig Trail ~ a 6,5km circular route taking two to three hours. Hikers walk along a fynbos ridge with views of the coast, river and estuary, returning via an ancient milkwood forest. The Porcupine Trail~ 13,5km and takes four to five hours. This route stretches over vegetated dunes. Hikers should arrange return transport from Groenvlei. The Cape Clawless Otter Trail~ is a 6,5 km flat out-and-back route along Groenvlei’s southern shoreline, through indigenous forest and vegetation on the fringe of the lake. The Blombos Trail~ on the Groenvlei side is popular for bird viewing and offers 3 options. There is a long route (15km), a medium route (13km) and a short route (6,5km). 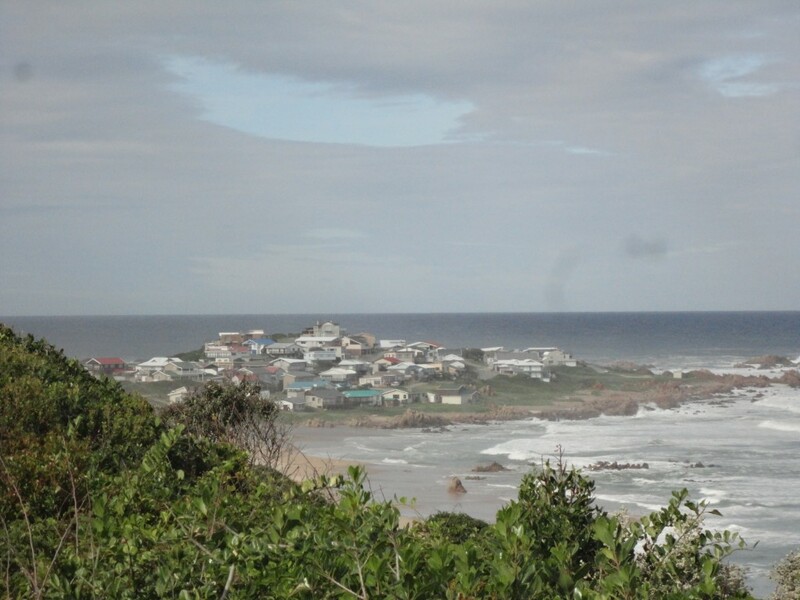 The Buffalo Bay trail~ Explore the holiday town of Buffalo Bay via this 4,2 km trail. A circular route through forest and coastal vegetation with sea views along the way. Visitors can picnic, swim, sail and canoe on the river. Canoes can be hired and licenses for freshwater angling and boating on Groenvlei are available at the reserve office or Bait & Tackle in Sedgefield. In the Marine Protected Area, angling with a rod and line from the shore is permitted, with the necessary licenses obtainable from post offices. No bait organisms or shellfish may be removed or disturbed anywhere within the Marine Protected Area. No ski-boat fishing or spearfishing is allowed. These hiking trails traverse a wide range of habitats for birds, mammals and marine life. Cape clawless otter, grysbok, bushbuck, bush pig, porcupine, bushbaby, Cape dune mole rat, caracal, grey mongoose and honey badger all live in this paradise. Most of the animals are quite timid and difficult to spot but you will see plenty of droppings and spoor on the trails. The area is great for bird watching. More than 220 species of birds have been recorded including African spoonbill, African fish eagle, African marsh harrier, Knysna turaco, three species of kingfisher, the rare African black oystercatcher and occasionally the endangered African penguin. The coastline offers excellent whale watching from July to December and dolphins are frequently spotted surfing the waves. Gate times to the reserve are from 8h00 – 18h00 daily. This information was brought to Phantom Forest courtesy of Cape Nature. All images courtesy of Indigoblue. This entry was posted in Eco awareness, From the Garden Route, From the Phantom Forest and tagged Buffalo Bay, goukamma. Bookmark the permalink. ← Watching the “Right” whale!